A king’s loves are ever sullied by statecraft. 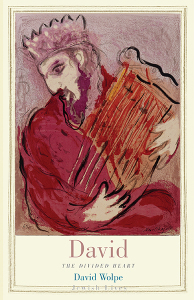 They may be designed from the beginning to foster relations between states, a form of alliance obsessively practiced by David’s son and successor Solomon, reputed to have had a thousand wives, a number more suited to bookkeeping than to romance. Even when a coupling begins with love or lust, as with David and Bathsheba, the state feels the vibrations. David’s relationships with women are by far the most detailed and nuanced in the Bible. Untangling which of David’s marriages were strategic and which fueled by love may be impossible. An unmixed motive does not seem to exist in David’s world, or in his heart. He imperils his kingdom through raw desire but also marries with an eye toward advancement. His relations to women are at least as complex as all the other arenas of his life. This ancient king, although with royal inflections, reminds us of our own conflicted natures.